“Some people said Americans weren’t ready for that much change. Sure Barack was a nice fellow, they said. But white voters would never vote for a black president,” the new Common Core book “Barack Obama” reads. 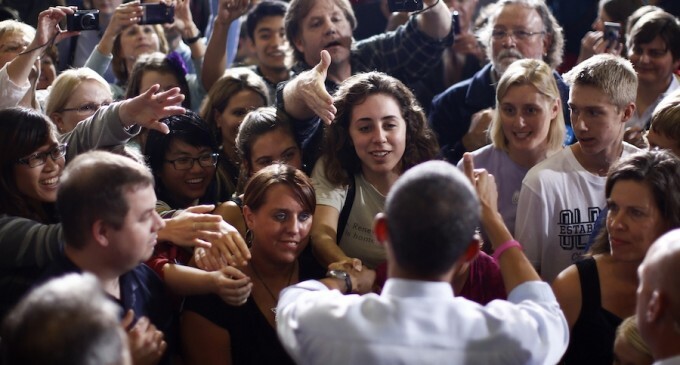 So the only challenge for Barack was white voters, according to this indoctrination propaganda of our youth. Not the fact that many awake Americans were hip to his communist agenda from the start. And let’s just forget that 71% of Obama voters regret voting reelect him. A children’s book that is part of the Common Core curriculum portrays white voters as racists who would never vote for Obama for president. The book called, “Barack Obama,” says: “Some people said Americans weren’t ready for that much change. Sure Barack was a nice fellow, they said. But white voters would never vote for a black president,” the book reads. This is in spite of the fact that millions of whites voted for the sitting president. Common Core’s implementation has gotten off to a rocky start. States like Indiana have opted out of the unified educational standards, with Governor Mike Pence signing legislation that removed the state from required participation. Still, the law doesn’t fully prohibit some parts of Common Core from being implemented. In New York, the first state that implemented the guidelines, a girl was suspended from school after she told classmates that they were able to opt out of the Common Core English test. She was suspended for insubordination for two days after the incident. Students at another school were rewarded with ice cream if they took the test, and students who refused to take it were punished by having their ice cream withheld. Common Core State Standards will reportedly have little to no impact on student achievement according to a study published by the Brookings Institution. The report concluded that it would take 24 years to achieve a noticeable improvement, making it harder to understand why the federal government is pushing so desperately for the unified educational standards. Common Core has been creating strange bedfellows coalitions across the United States, with conservative seeing it as obtrusive federal overreach and liberal activists seeing it as an attack on teacher’s independence. Left/Right grassroots groups have been rallying to fight back against the unified standards for different reasons, but with the same goal of decreasing the federal government’s ability to restrict the rights of teachers, students and parents. Call it what you want, however fact is evolution can not be hurried, you are only equal when you are in fact equal “which is obvious not the case with everyone” otherwise there be no need for groups like NAACP nor would affirmative action be needed. Fact is we are a racist country, we employ people base on color and gender instead of the best person for the position “and wonder why America has become weak and ignorant” pathetic that we are lead by lesser men….